Nearly 90 percent of the 144,000 bitcoins found on the laptop of Ross Ulbricht were transferred there from Silk Road servers, according to the testimony of Ilhwan Yum, who was part of the Federal Bureau of Investigation’s probe into Silk Road, and who now works as a cybersecurity consultant for the FBI. Ulbricht is on trial at the U.S. District Court for the Southern District of New York for narcotics and criminal enterprise charges in relation to Silk Road. Yum participated in the seizure of the Silk Road servers in Philadelphia and Iceland, which took place a day after the arrest of Ulbricht. He also led the subsequent forensic analysis of the contents of these computers. 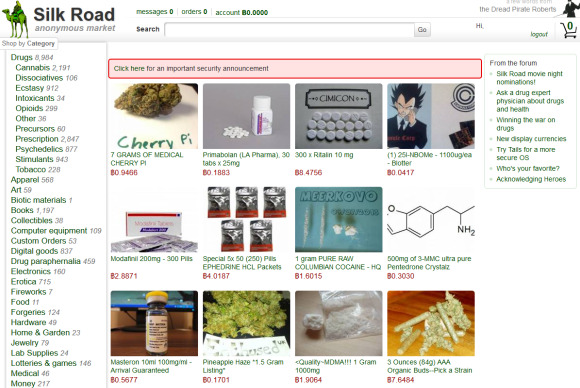 Ulbricht was arrested at a library in San Francisco, where he was performing administrative work on the Silk Road website. Ulbricht’s defense lawyer, Joshua Dratel, argues that he handed off the site to other operators shortly after he started it in 2011, and that he rejoined immediately prior to his arrest, lured back in by the new operators to serve as a fall guy. The large number of bitcoins found on the laptop may help the feds make the case that Ulbricht was the chief administrator for the site all along. According to prosecutors, Silk Road would go on to facilitate the exchange of $1.2 billion in illegal goods, mostly drugs. Buyers used bitcoins to pay for the goods, which were delivered through the mail. A bitcoin wallet contains a list of bitcoin addresses that can be used by others to send money to the owner of the wallet. The wallet also contains private keys that are needed to unlock the money in the wallet so it can be spent elsewhere. As a new digital currency, bitcoin values still fluctuate dramatically. A spreadsheet recording Silk Road finances also found on the laptop listed 144,000 bitcoins as being in “cold” storage. In bitcoin parlance, cold storage means the bitcoins are being stored offline for backup purposes so they can’t be immediately used by a bitcoin application. In addition to analyzing Ulbricht’s laptop, Yum also analyzed two Silk Road servers seized by the FBI in Iceland. The two servers both handled bitcoin transactions for the site, with one server acting as the primary machine and the other serving as the identical secondary server in case the primary one failed. On these servers, Yum found 22 bitcoin wallets with 2.1 million bitcoin addresses. The wallets contained about 20,000 bitcoins on the server, worth between $2 million and $3 million at the time. The law enforcement officials then moved all the bitcoins to a government server for forfeiture. Yum also followed the electronic trail of the bitcoins that were moved from Silk Road servers to the laptop used by Ulbricht. He found that between September 2012 and August 2013, a total of 700,253 bitcoins were moved to the laptop, in about 3,700 separate transactions. The value of the bitcoins, at the times of their individual transactions, totalled about $13.4 million, he testified. In addition to the bitcoins that came from Silk Road, the laptop also received 89,000 bitcoins from other sources, which the government did not identify. Ulbricht was charged with narcotics conspiracy, engaging in a continuing criminal enterprise, conspiracy to commit computer hacking and money laundering. The narcotics and criminal enterprise charges carry maximum penalties of life in prison. Ulbricht has pled not guilty to all charges. U.S. District Judge Katherine Forrest is overseeing the case.